Instant gratification comes with each treatment because you can kind of see it start to chip away and disappear. Dr. Waibel was given the honor of being named “Person of the Week” on ABC World News Tonight with David Muir. I stuck with Dr. Waibel because she was so determined to find a solution. It’s like building a house…as the walls go up, the roof goes up and the paint goes on, you can start to see the drastic changes. 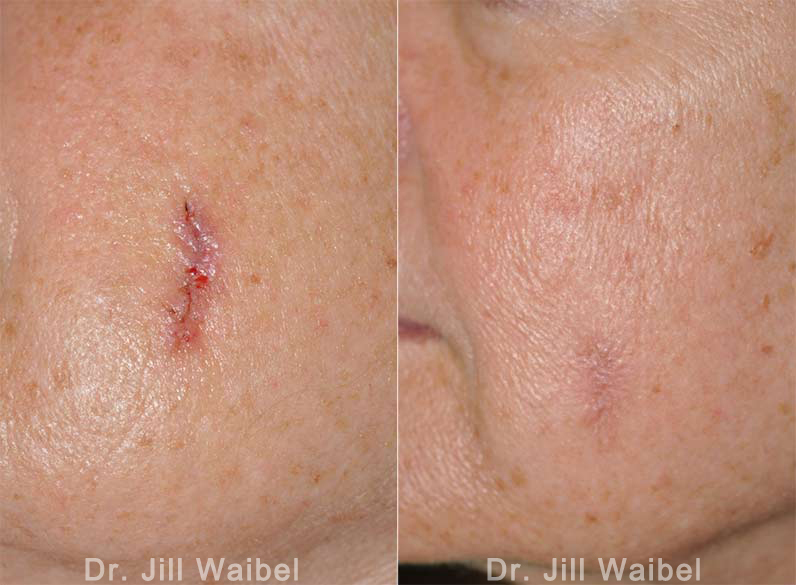 If you have a scar from a previous surgery that you’d like to eliminate or diminish, consider a visit to Miami Dermatology and Laser Institute, where board-certified dermatologist Jill Waibel, MD, FACS, provides the most advanced scar revision options for her patients in Miami, Ft. Lauderdale, Kendall, and nearby areas in South Florida. From facelifts to breast implants, all elective surgeries create scars. When possible, cosmetic surgeons are trained to conceal scars in locations where they’re less likely to be noticed, such as under the bikini line for tummy tucks. 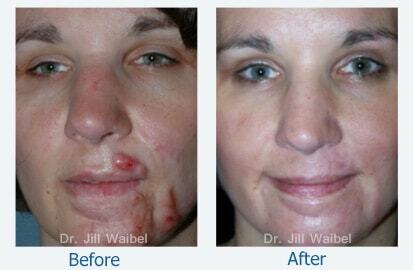 Ideally, scars from cosmetic surgeries will heal as thin, light-colored lines that people barely notice. However, improperly healed scars of any size can cause significant psychological distress. The side effects of improperly performed noninvasive and minimally invasive procedures, such as laser and energy-based treatments, chemical peels and dermal fillers, can be equally troubling. What are the signs of a raised scar from cosmetic surgery? Who is most susceptible to surgical and cosmetic surgery scars? Your skin type, age, ethnicity and family history of hypertrophic or keloidal scarring are among the key determinants of scarring after surgery or cosmetic surgery. Additionally, children often develop suboptimal scars because their skin contains more elastin than adult skin, creating higher tension at wound edges. Children have thinner skin than adults so heat injuries (like a water scald injury) cause more serious injury. Patients on immunosuppressants and those with systemic illnesses, such as diabetes or chronic renal failure, are most susceptible to wound infections, resulting in poor wound healing. Patients who fail to follow postsurgical instructions or continue to smoke before and after surgery are more prone to scarring. Certain surgical procedures – such as those performed on the trunk and extremities – also are more likely to scar, due to issues with blood flow. Proper postoperative care: Taking good care of the surgical wound in the immediate postoperative period can reduce formation of hypertrophic scars. This includes changing wound dressings as instructed by your doctor; avoiding alcohol or iodine-based wound cleansers; and applying skin tape after suture removal and continuing to use the tape for at least three months. Your physician may also want you to begin using pressure therapy (wearing special garments that press down on the wound) soon after your wound begins to heal. Silicone gel sheeting: Applying these products as early as two weeks post surgery, particularly for patients with predisposing factors, can help minimize hypertrophic scarring. You should continue for up to six months if needed, and use topical scar cream if the location of your wound prevents use of silicone sheets. Intralesional steroid injections: These treatments inhibit the expression of genes related to collagen production. Injections into subcutaneous fat or surrounding skin can lead to atrophy, which tends to resolve once treatment stops. Lasers: Some lasers, including fractional erbium (Er:YAG) and fractional CO2 lasers, have shown success in treating post-surgical scars. Other options include Q-switched lasers, pulsed dye lasers and intense pulsed light. Surgical excision: For wounds closed with excess tension, a Z-plasty or W-plasty can change the direction of tension to promote better wound healing. Intralesional injections: Because silicone sheets, creams and pressure therapies don’t work well with keloids, intralesional injections are a mainstay of treatment. You may see significant improvements after three to four treatment sessions. Because keloids are prone to recurrence, you’ll need periodic maintenance treatments to maintain results. Surgical excision: the board-certified dermatologists at Miami Dermatology and Laser Institute use a wide variety of surgical techniques, from simple core excision to wide-margin excisions that are closed with skin grafts, for keloids. Nevertheless, keloid relapse rates can be high. To help prevent relapses, physicians often combine surgery with radiation therapy or intralesional steroids. 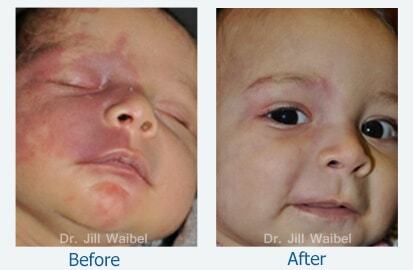 Radiation therapy: Radiation therapy can provide an effective adjunct to surgical excision of keloids. As a side effect, overuse of radiation therapy can increase cancer risks. However, such reports in keloid treatment are rare. Don’t settle for a lifetime of living with annoying scars. If you live in the South Florida area, or are a frequent visitor to Miami, Ft. Lauderdale, Kendall, or nearby communities, contact Miami Dermatology and Laser Institute today to schedule an appointment with Dr. Waibel, a reputable and celebrated specialist in scar revision treatment. Miami Dermatology and Laser Institute | Director, Jill Waibel, M.D. which may differ from other medical professionals. ©2018. Miami Dermatology and Laser Institute. All rights reserved.